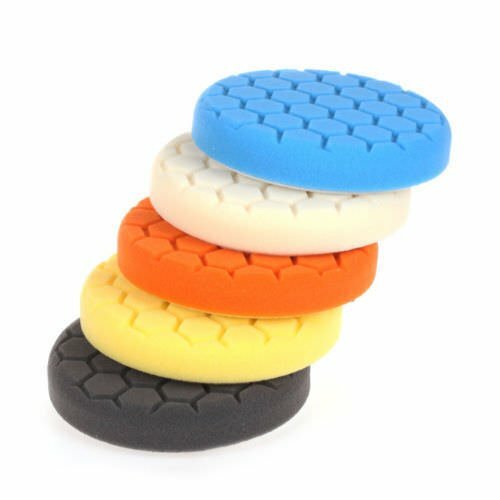 Package Includes: 1 x yellow Polishing Pad For Heavy Cut.1 x white Polishing Pad For Light Cut.1 x blue Polishing Pad For Finsih Polish.1 x black Polishing Pad For Buff and Do Wax.1 x orange Polishing Pad For Heavy Cut. Pad distributes product evenly for a better finish. Pad surface stays lubricated reducing friction and marring. 100% coverage on flat or rounded angled surfaces. Manufactured from the finest foam for long lasting durability. Five color options, different functions.